The Loupedeck is a product that at first glance I did not want to like. It looks cheap and the price tag is higher than expected. And, to be honest, once I had the deck in my hands, I was still against the product. It feels cheap – plastick-y and like a toy. Cost cutting from every angle before a product gets to the consumer plagues camera accessories. Compared to a Logitech HTPC keyboard the Loupedeck still loses out. A wireless Logitech HTPC keyboard can be had for around $50. This keyboard comes with wireless capabilities, the same chicklet style keys, but also comes bundled with a touchpad to control your mouse cursor – something sorely lacking in a product such as the Loupedeck. 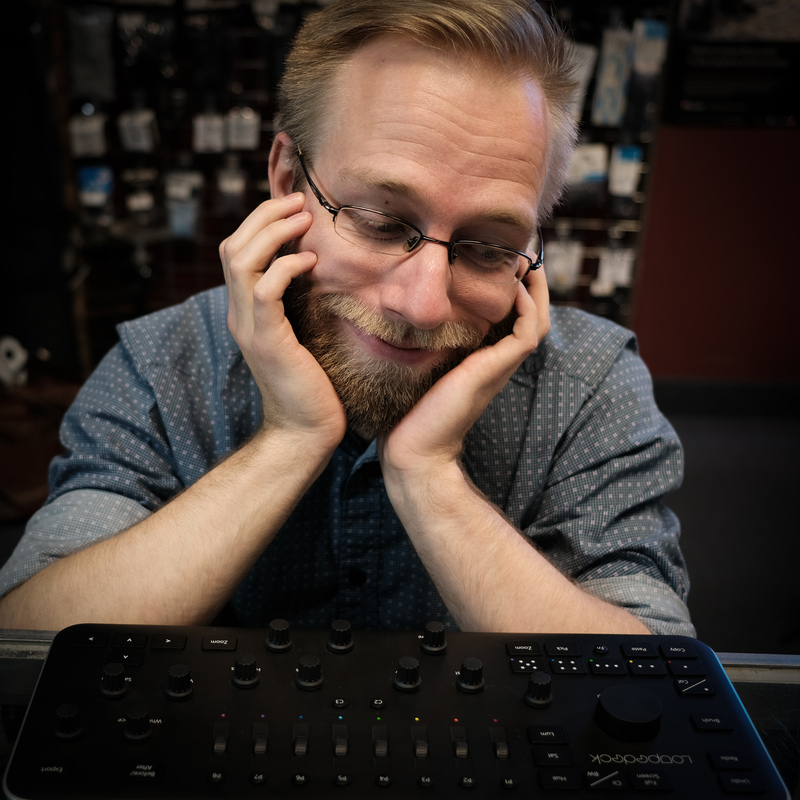 It’s easy to see all of the reasons why the Loupedeck isn’t such a great product – but even through all of that – after spending an entire editing session for one of my weddings with the deck, I started to like the product, and what it offered. It just needs a little more to justify the price for which it sells. I believe that there is a lot of room for a product like the Loupedeck in the market. Our job as photographers dictates that we interface with devices – our cameras – constantly. If I threw a camera at you, then you need to know how to use it quickly, and figuring out the Loupedeck is impressively easy, so I like the parallel. Installation is clean and easy with no hiccups. Once you get going in the editing suite – specifically in Lightroom, the going is very good. Copying and pasting – with two dedicated buttons – is a breeze for batch editing. Everything the Loupedeck does makes sense. Changing and controlling exposure is a dream, and clicking down the dial resets it to the default ‘As Shot’ setting. There’s something very satisfying about manipulating dials and watching in real time as Lightroom responds to your changes. 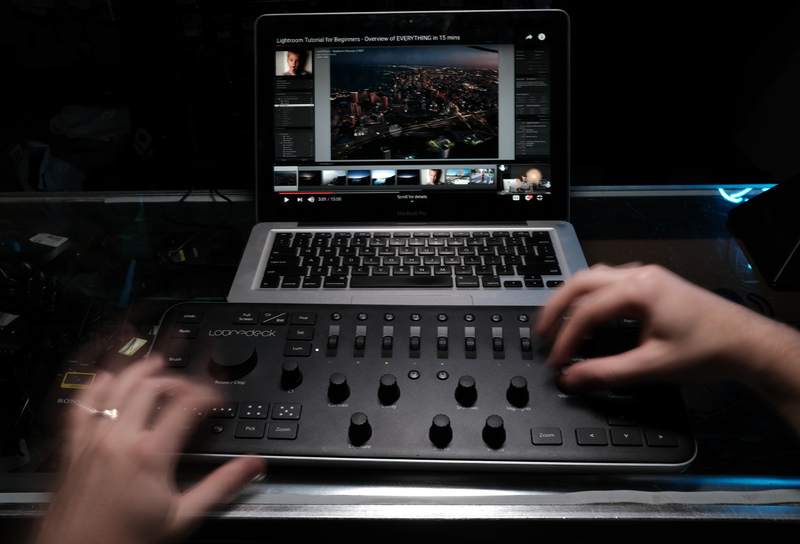 I would say that a Loupedeck, once one is familiar with the device, would save about 15-20% of the time used during editing which as anyone who’s been locked in the editing dungeon knows is a significant amount of time. Hue/Saturation/Luminance are all well controlled at the top of the deck. Cropping and rotating after an initial clunk of awkwardness quickly turn into one of the best ways I’ve ever experienced cropping and rotating my photos. It all feels so good when it translates. The thing that holds the Loupedeck back is just tactile feedback. The knobs should click giving you an audio cue everytime you move the slider. They should be made of metal. The knobs should feel significant so that the work you’re doing feels significant, because as a professional or even an amateur photographer – your work is significant. Another cool feature of the Loupedeck is its ability to handle multiple inputs from different knobs, letting you feel like you’re ‘mixing’ something. It’s a lot of fun and it speeds up your post-production when your hands start to memorize where the knobs are. I wish that the knobs were easily able to be discerned just via touch, but alas this holds the Loupedeck back from being an amazing product, rather than just a mediocre one. At a $260 price point, it’s very difficult to recommend. Mechanical keyboards or excellent wireless HTPC keyboards can be had for much less. Audio decks hover around the same price and offer fully machined keys, and faces with a lot more tactile feedback. If Loupedeck had instead offered this current version at a competitive price, and offered a ‘pro’ level deck with all of the features listed above, I would be a lot more inclined to give a more positive review – but as it stands your money will be better off waiting for the Loupedeck to go on sale for a bargain price, or spent on a more premium product. I give it 16 cameras out of 10 lenses. Danny has been interested in photography since his gramps showed him pictures from the Vietnam War. He turned this interest into photographing the softer side of life - engagements, weddings, and families. When he isn't shooting, he's scouring record stores, playing D&D, and Magic: the Gathering. Otherwise, he's a hermit and likes to spend time with his family and dog.